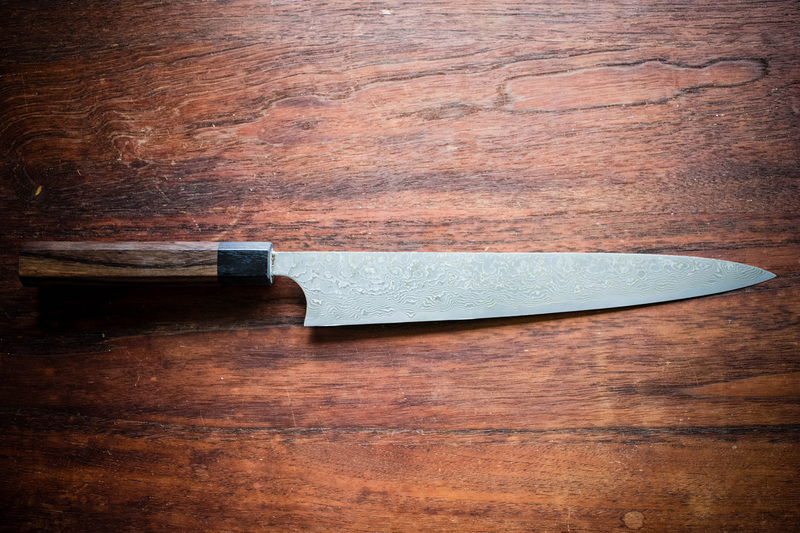 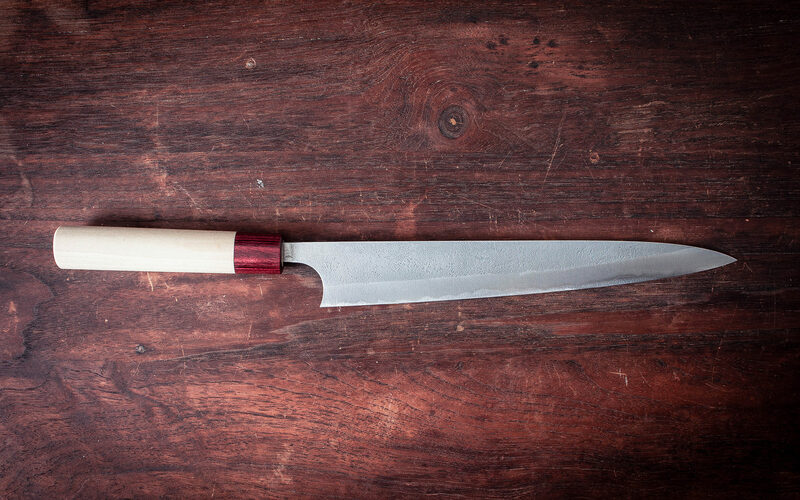 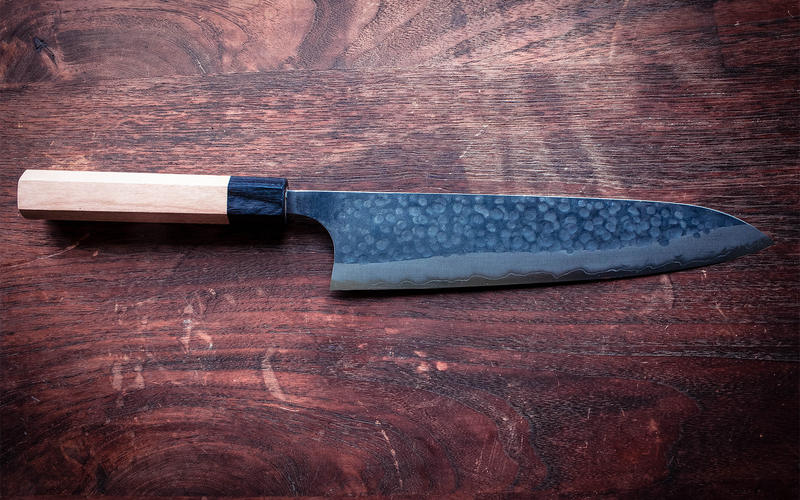 This knife is handmade by Anryu san, a 4th generation blacksmith with over 50yrs experience from Takefu Knife Village. 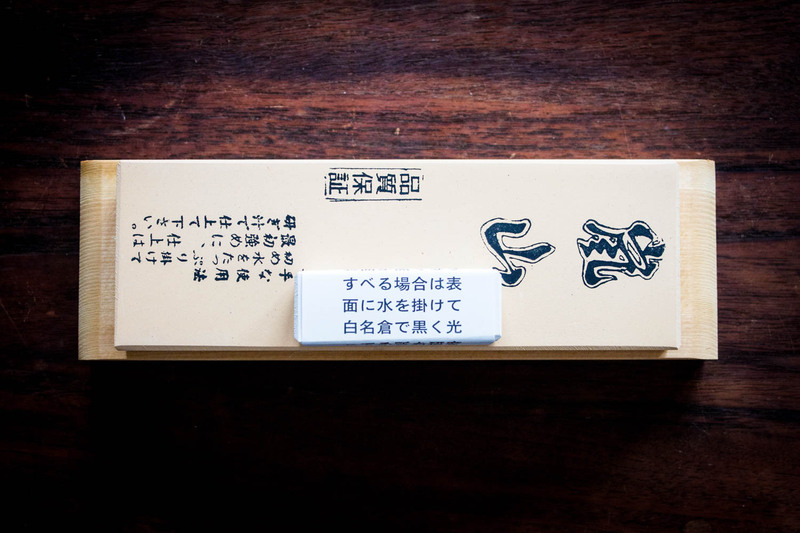 This series is named Kumo (cloud) because the blades look like stormy clouds. 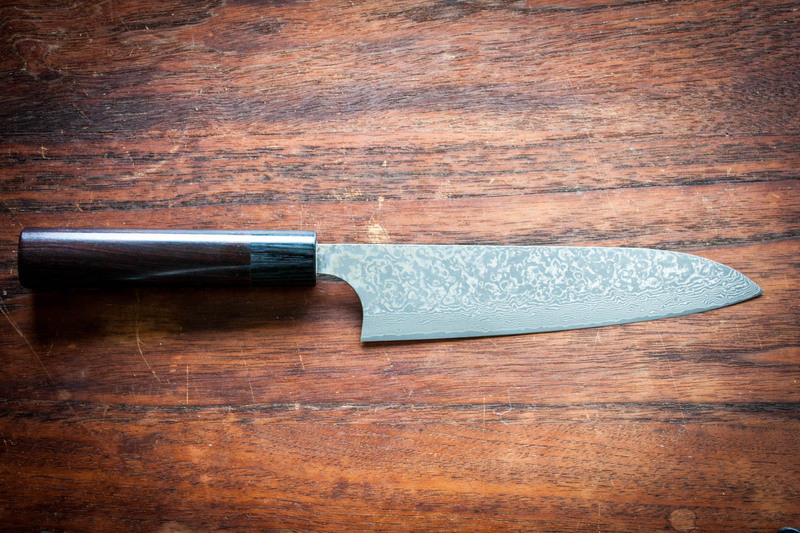 The knives in this range are made out VG10 core steel and it is wrapped in Nickel Damascus cladding. 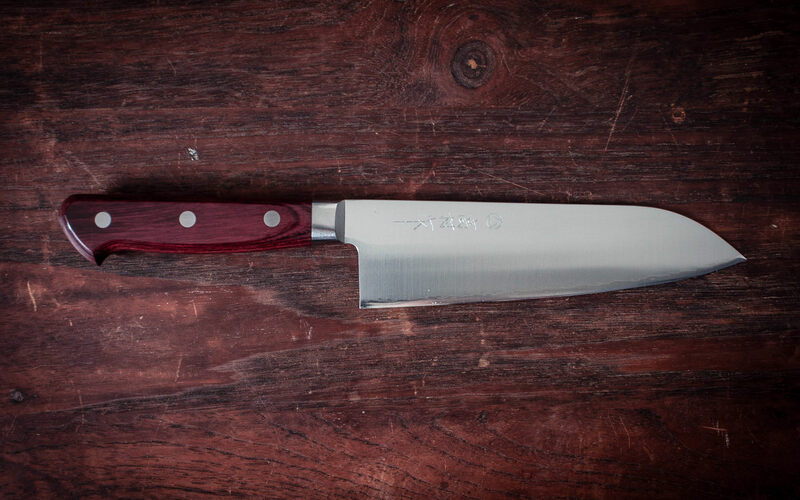 The knife stands out for its lightweight, positive balance and good looks. 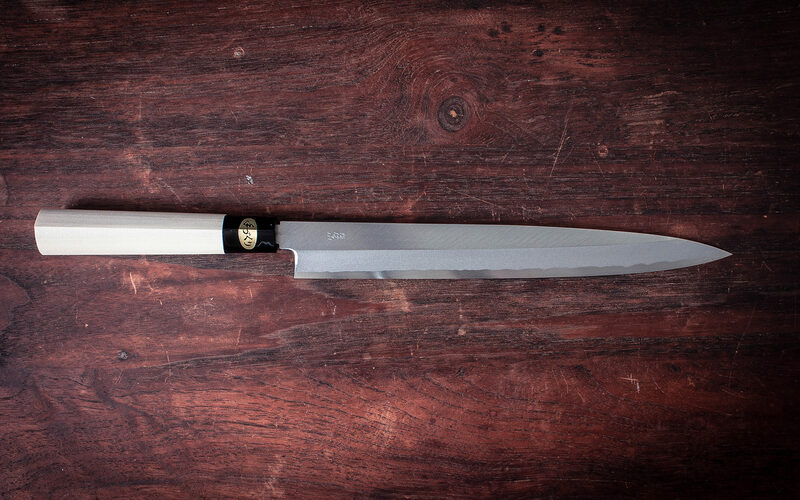 Taking care for this knife is easy as it is constructed out of stainless steel. 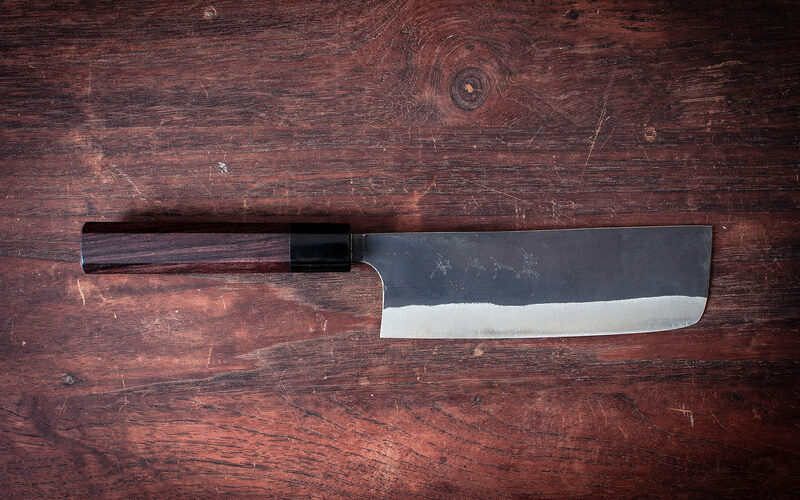 The knife has an attractive octagonal handle, which is made out of rosewood and a black pakka ferule.